The FSR LA Patient Conference was a really good event. Here are my notes from the sessions. I jotted down the notes as I heard them and while I am fairly confident with the accuracy, there may be some inaccuracies if I did not hear the speaker correctly. That said, it will give you a flavor for the content of the conference. I hope you find this helpful. Prednisone and Corticotrophin are the only two drugs approved for the treatment of Sarcoidosis. There are no drugs approved for cardiac associated pulmonary hypertension. There are no FDA-approved drugs for Sarcoidosis related fatigue. But this is a major symptom for many patients and it is real. Granuloma is a cluster of damaged cells. The center of the granuloma is the cause of the disease. In liver, granuloma are almost always non-caseating. In skin, can be seen as reaction to foreign body (splinter). How to Get the Tissues? Diagnosis often takes > 6 mos. Lupus pernio – caused by Sarcoidosis??? Antigen triggers the disease which travels into blood vessels and formation of cytokynes that tell White Blood Cells to go to granuloma. Need to monitor Vitamin D both 25 and 125. Embril works same for Rheum Arthritis, but not for Sarcoidosis. A 5-10% that another family member COULD get sarcoidosis. Very rarely occurs in childhood. Think of Sarcoidosis as already present in multiple organs. That’s another reason why it is not really a Stage 1, 2, 3, etc… disease. Does Sarcoidosis cover up other diseases? Can it go away for good? Decreased sexual desire and function is a common complaint, but may not be the Sarcoidosis. Could be other factors. Testosterone can be suppressed by Prednisone. Brain can also affect hormone production. Sleep Apnea is common with Sarcoidosis and it is possible that Sleep Apnea could exacerbate Sarcoidosis. Depends how you define Sarcoidosis. Which came first the chicken or the egg? Advanced Sarcoidosis disease interviews w/ multiple demographics. If you have Sarcoidosis, you have a unique disease that could be passive or aggressive. Find good doctors that know your disease. Give them all the data you can. Be an advocate for disease research. 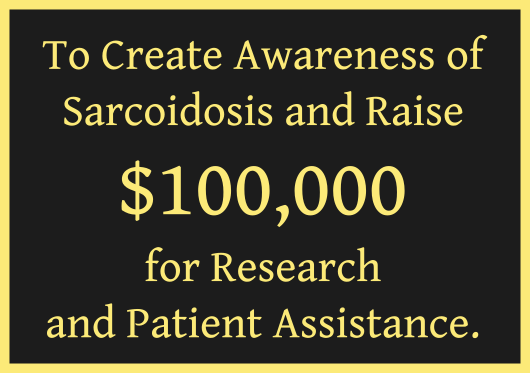 Sarcoidosis is the poor kid on the block when it comes to research funding. Support the cause and support one another. I hope you found this summary helpful. P.S. FSR asked me to present my story and strategies for coping and recovery at the LA Patient Conference. I’m in my 5th year with Cardiac Sarcoidosis and in the last year have done remarkably well. My recovery has been miraculous actually. My story of coping, recovery and continuing to recover is documented in my new book Getting Better. 100% of the net proceeds go to FSR toward research and patient assistance. You can order your copy right on this site where the maximum donation goes to FSR.